Full-size crop of NASA photo 61C-1004 showing Echo 1 on its Thor-Delta launch vehicle. This photo has become dissociated from its caption on the KSC Website. NASA photo L64-6971 (also known as EL-2002-00447) shows the container in which Echo 1 was launched; it appears to be similar to the Echo 1 display at the Udvar-Hazy Center. NASA photo L64-6972 (also known as EL-2002-00448) shows the launch configuration, with the container mated to its upper stage propulsion unit. This style of Echo container and propulsion unit matches that on the forward end of the Echo 1 Thor-Delta's upper stage above. After the first successful orbital launch of the first Echo satellite, the 100-foot diameter Echo 1, there were two suborbital test flights called "Big Shot 1" and "Big Shot 2". Launched on a Thor launcher without an upper stage, the purpose of these flights was to test the inflation of a larger, 135-foot diameter Echo-type satellite. Both Thors were equipped with television cameras to view the satellite inflation process, and Big Shot 1 was the first space mission to beam back live television. The first Big Shot launch took place on January 15, 1962. While the launch was successful, the satellite's skin ripped apart during the inflation process. Click image for a 742x1170 pixel version of this image in a new window. From page 5 of the December 20, 1962 issue of Spaceport News . Click image for a 820x896 pixel version of this image in a new window. From page 140 of the January 25, 1962 issue of Flight Global . 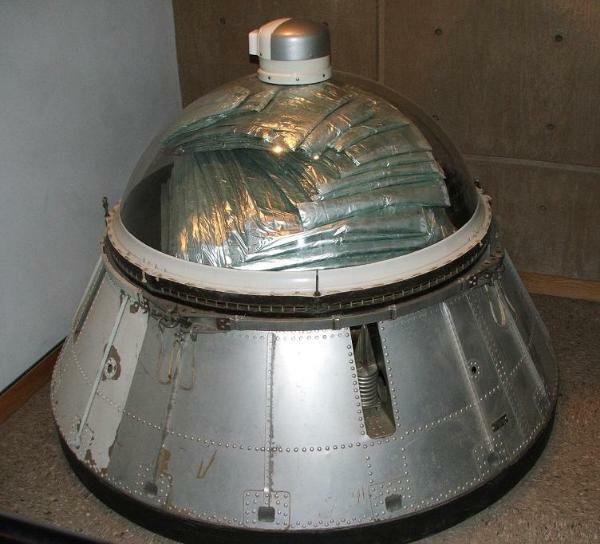 The Air Force Space and Missile Museum has additional information on Big Shot 1's aerodynamic fairing, and the Sorting Out Science blog has a better photo of the Big Shot shroud. Click image for a 498x1231 pixel version of this image in a new window. 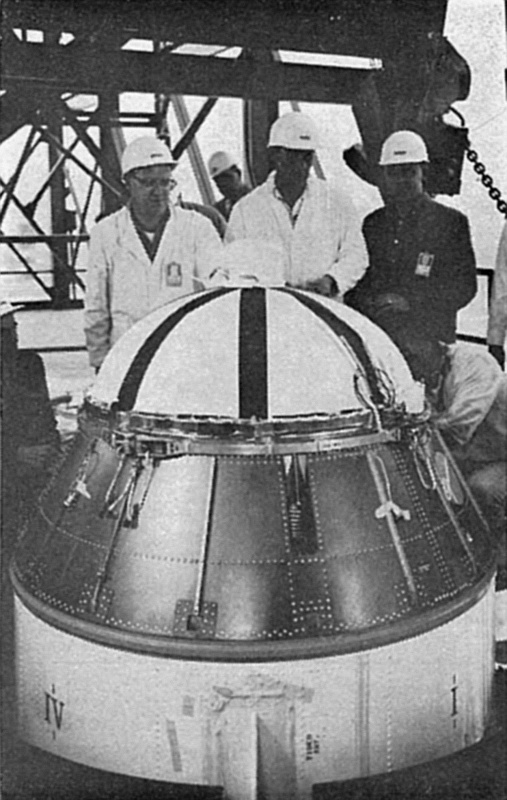 While the Big Shots were launched on a single-stage Thor, Echo 2 was launched on a Thor-Agena. Since the Agena stage is approximately the same diameter as the forward end of the Thor, I initially speculated that Echo 2 may have have used the same type of adapter as the Big Shots. 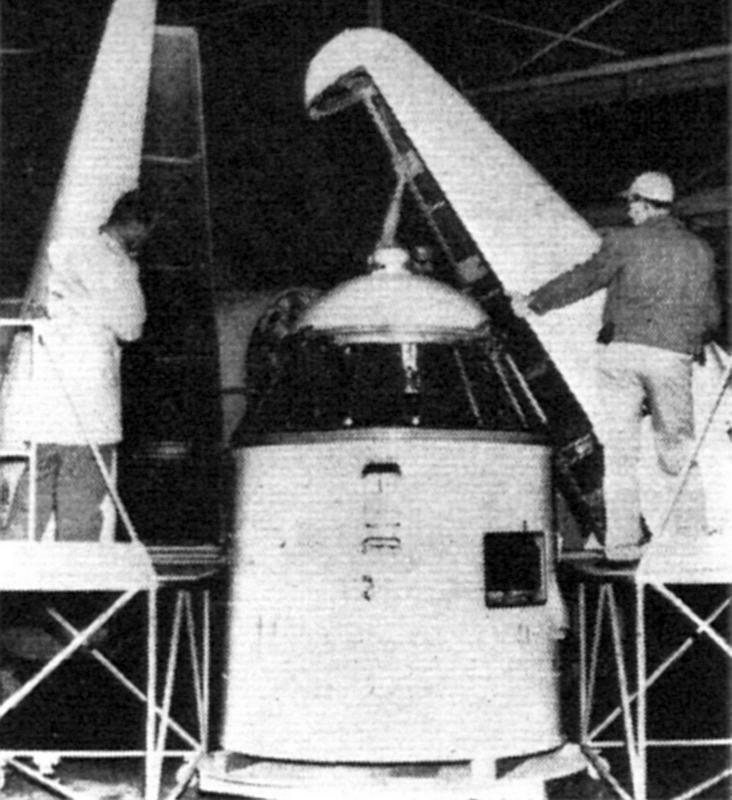 Echo 2 backup, weighing 457 lbs, is shown folded down in a canister and ready for launch. 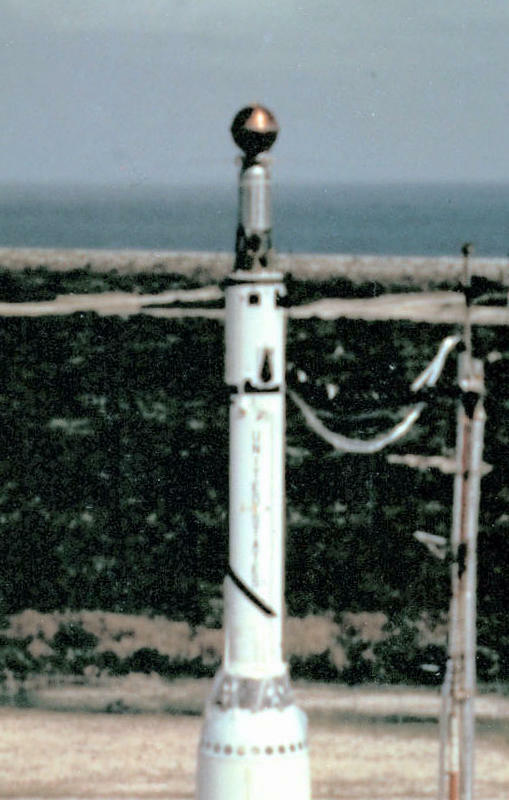 The real Echo 2 was launched from Vandenberg Air Force Base on January 25, 1964. After orbital insertion, it inflated into a huge reflective balloon at 135 feet in diameter. Over great distances, ground stations bounced radio signals to each other by using Echo 2 as a passive reflector. At the time, the largest object in surface area (not mass) ever placed in orbit, it was also used to conduct atmospheric drag and air density experiments. So, it would seem that the Echo launch adapter at the Cradle of Aviation is an Echo 2-style adapter. Since the Echo 2 backup is already display elsewhere, the Cradle's may be a backup from one of the Big Shots or is perhaps a test article.